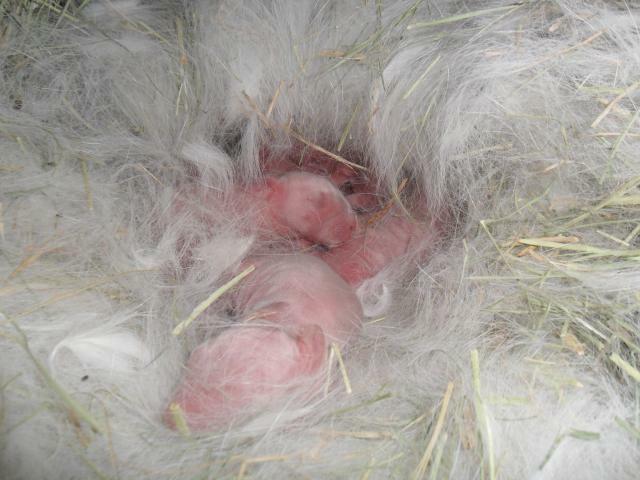 Lets Talk About Breeding Rabbits! Discussion in 'Other Pets & Livestock' started by Chiko, Jan 7, 2011. I just got two pair of rabbits. No kits yet. But would love to see pics and hear stories! My wife and I were in the rabbits before we converted to a better hobby. It became so time consuming it wasn't funny! We had 150 or so rabbits at one point all ages and just decided we were through, and sold most all of them, gave away a few. Noticed lately a big switch in our area from rabbits to poultry. 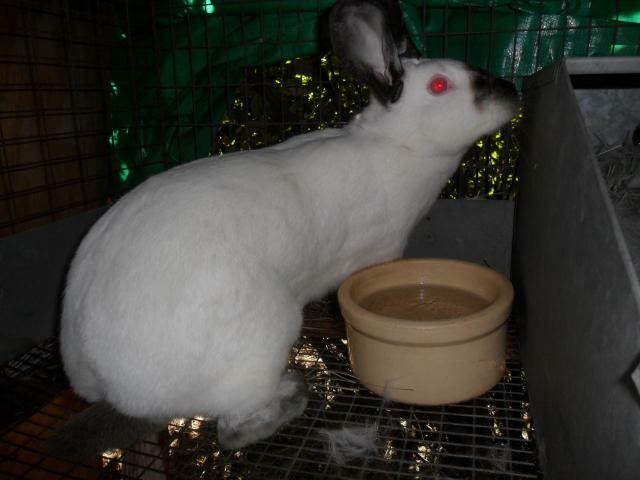 We bred Mini Lops in dillute and normal colors, had: steel, chestnut, chinchilla, blue, black, seal, fawn, cream, sable, smoke pearl, chocolate, lilac, orange, tort, blue tort, blue chinchilla, pointed white, opal, and broken patterns of many of the same colors. French lops in black, blue, steel, chestnut and chinchilla in broken and solid. Tans, Dutch, Palaminos, Netherland Dwarf, Havana, Mini Rex, Californians, English Angoras, and a American Chinchilla. 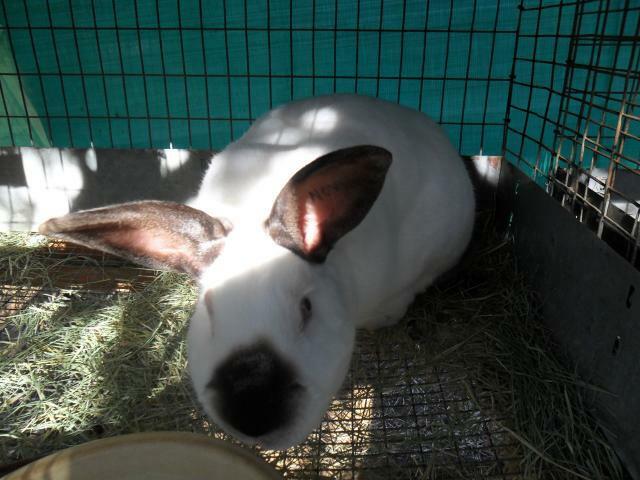 Most of those other breeds we only had one or two of here and there, but the lops were our thing. I was never happier than the morning I woke up after I had spent the evening before loading up the rabbits out our cages into someone else carriers and then into their van...We had been doing poultry by that point for 4 years as well...but life got easier from there. 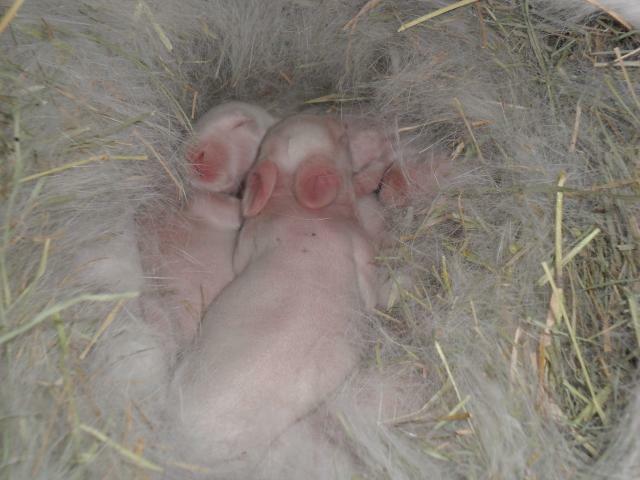 We had two kids of our own and now own two more mini lops. A broken cream buck and a fawn doe, but we will never again be back to those kind of crazy numbers when we were younger. 150! Were they all in individual cages? I can't imagine caring for 150 rabbits. My goodness. We were up to about 80 before my dad's heart attack. WAY too many for my liking. We keep our numbers between 30-40 now and that suits me just fine. We've got a total of 4 does due next week and 1 with a kit right now. I have a ton of pictures so I'll just post the link to the albums. Use the subalbums at the side to view the pics of the kits. Amako has been a wonderful brood doe so far. She made one great nest, kept her kits very full, and got along with them well until they were weaned. Twix is a confused rabbit. She builds nests all over the place starting a week early if she's actually pregnant and 2 weeks if she has a false pregnancy. Her first litter I think she had one get stuck because there was a dead kit and she was severely swollen. She would not eat or care for her kits until she was given some pain killers. Her second litter she kindled really early in a pile of hay and I accidentally destroyed the nest cleaning the cage. I put the kit in a nest box back in the same spot but twix went nuts digging all over the place and throwing the kit around. I had to remove it until she calmed down and then hold her over the box so she realized her kit was in it wanting fed. She seems to be doing alright now. We lost a champagne d'argent doe and all her kits when she had a severe uterus prolapse and had to be put down. I started a small rabbitry here this last year. We started with show quality Californians, 3 does and 2 bucks. It's taken me this long to get them to breed, but we just had our very first litter a month ago. Lily is a WONDERFUL mamma and a GREAT doe. She doesn't mind being petted or picked up, is friendly, doesn't bite the bucks, is a GREAT mamma, she's a love bug! It was hard work figuring everything out and getting all the females bred, but BYC helped me out a bunch! I had to "hold" the does so they wouldn't run away from the bucks. I FINALLY got all three does bred today! Yay! We will be expecting three litters next month!!! Yay! Now time for pics! Babies; 1 day to 4 weeks old. We had a mini lop buck that won Best In Show and then Reserve in Show about 2 weekends later, and always did very well show-wise, but he threw the most pitiful offspring no matter who he was bred to. His full brother, from the same litter, was really long in coat, and didn't have the best type, but was still nice threw AWESOME babies! Great type, but still a little long in coat, but we were only on the second generation when we sold out completely and my nice buck died a year later from old age, and his brother after him, I don't know what ever happened to their offspring after the guy we sold them to sold out. 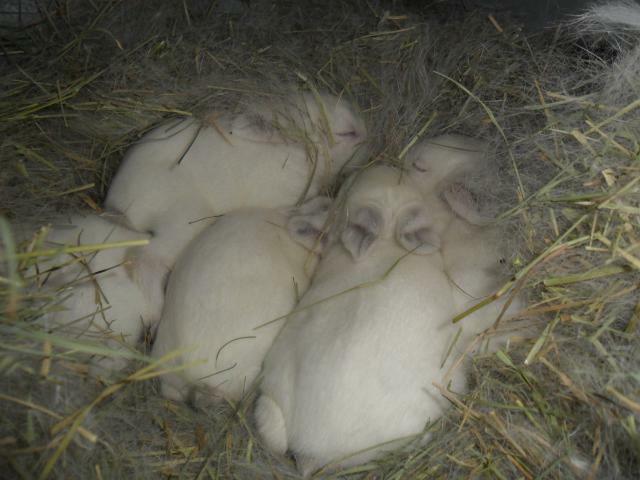 Breeding is hard...deffinatly takes a lot more effort than the proverbial "breeds like a rabbit".